One-click to Burn Blu-ray Disc enables you to burn what you want to Blu-ray in just one mouse click. Read on to learn how it works. One-click to Burn Blu-ray Disc is currently available for Windows version. Launch Wondershare DVD Creator and click More DVD Tools >> to access the built-in Toolbox. Then click One-click to Burn Blu-ray Disc to get the primary interface for one-click Blu-ray burning. 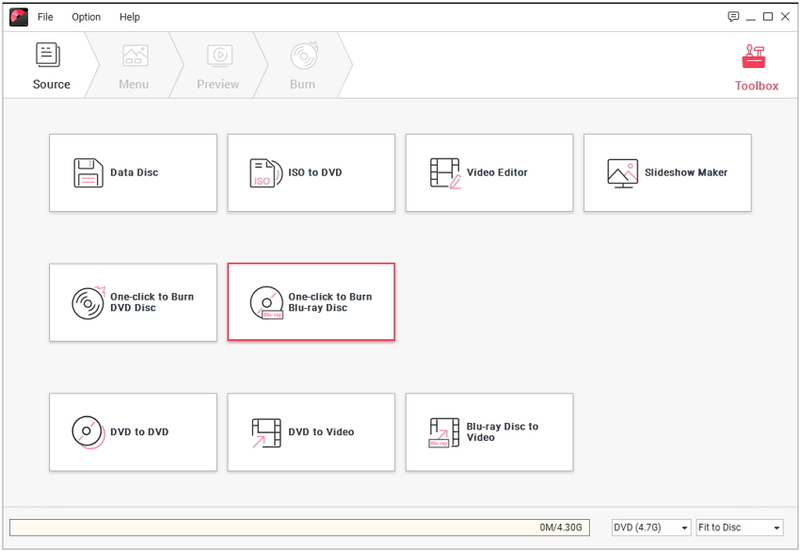 You can also select Create a DVD Video Disc or Create a Blu-ray(BDMV) Disc and click Toolbox in the top right to view the embedded Toolbox. 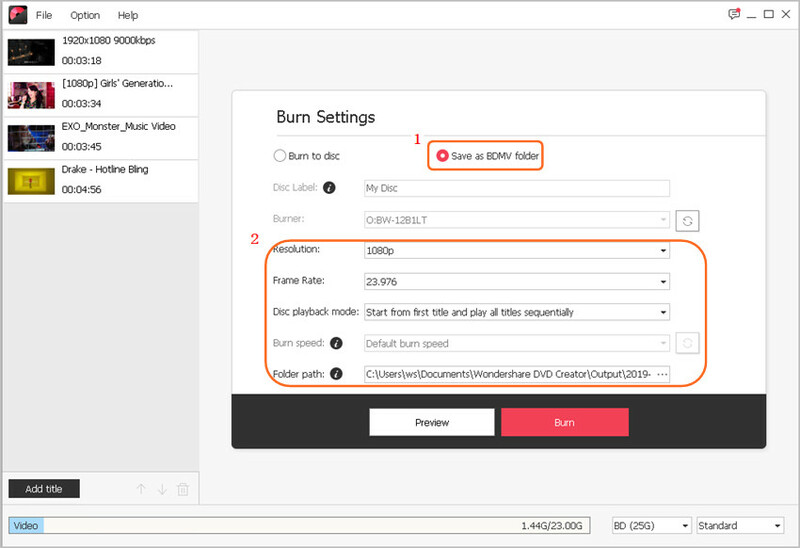 Click to import your desired video or image files for Blu-ray burning. If you want to add more files, just click Add title to proceed. Then the loaded videos or pictures will be displayed in sequence. 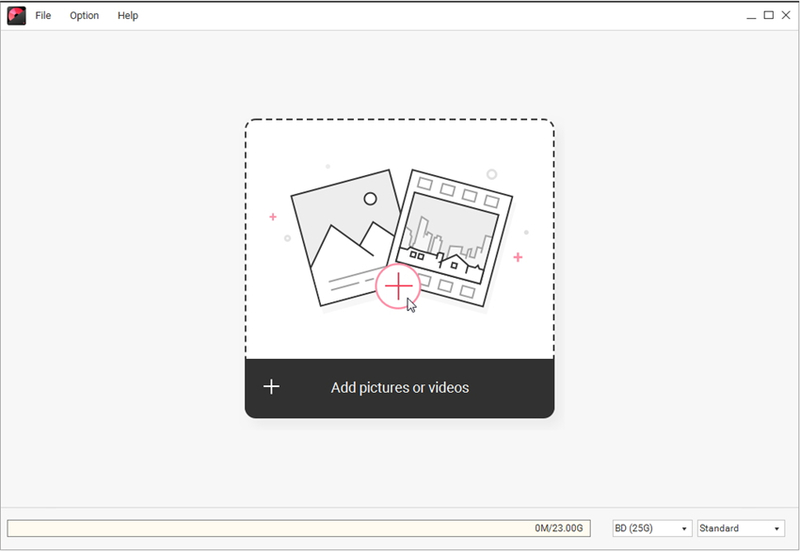 If you want to change the order of the loaded slideshows, just select the slideshow and click or as you need. Insert your Blu-ray disc to the computer, choose Burn to disc and confirm the rest burn settings as requested. In case you don't have a Blu-ray disc, you can choose Save as BDMV Folder as an alternative. 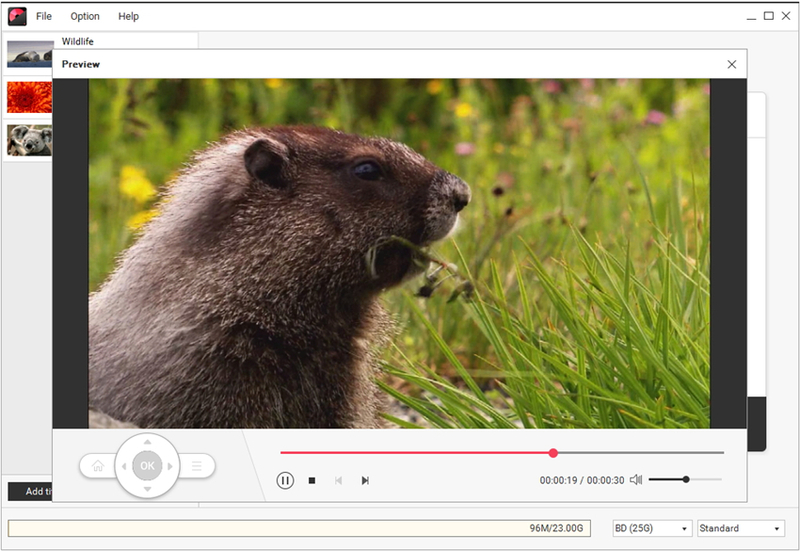 After that, select Encoder, Resolution, Frame Rate and specify Folder Path as you like. Now click Preview to get a quick overview of your Blu-ray slideshow. And hit Burn to start burning videos or pictures to Blu-ray disc in one click.